This article discusses the recent #growth of #Ukrainian #renewable energy #sector and #prospects for further development of #‘green’ energy in #Ukraine. As of 1 July 2016 the overall power capacity of Ukrainian alternative energy sector reached 1028 MW. In particular, the power generation capacity of solar power stations in Ukraine amounts to 453 MW, wind power stations – 426 MW, biomass plants – 31 MW and small hydro power stations – 118 MW. It is worth mentioning that in the first half of 2016, 14 new alternative energy facilities were commissioned in Ukraine, namely 12 solar power stations (with the aggregate capacity of 37 MW) and 2 biomass plants (with the aggregate capacity of 2 MW). The overall amount of investment in such commissioned projects was calculated at EUR 42 million. According to the report of SEF 2016 KYIV, in 2016 Ukrainian and foreign developers aim to construct 34 new solar power stations with the overall capacity of 120 MW. In addition, 11 new potential projects in wind and biomass energy are being at the stage of consideration by foreign investors, in particular from China and South Korea. We note that earlier the State Agency for Energy Efficiency and Energy Saving of Ukraine announced that the investment potential of Ukrainian ‘green’ energy market is estimated at EUR 16 billion. According to the State Agency for Energy Efficiency and Energy Saving, Ukraine has all technical means and resources in order to transfer from traditional fuels to alternative sources of energy. 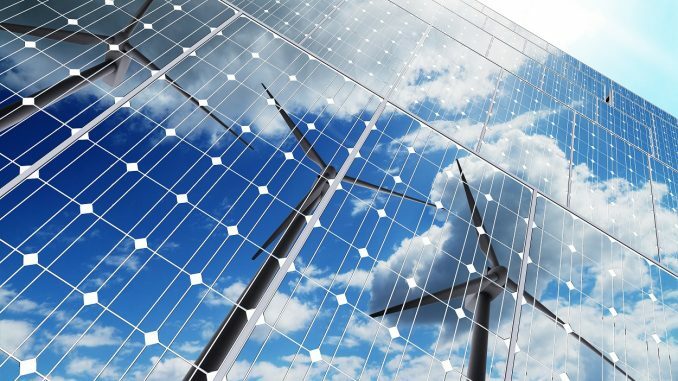 The aim of the agency is to facilitate and increase the share proportion of alternative energy in the energy system of Ukraine to 11% by 2020. The State Agency for Energy Efficiency and Energy Saving of Ukraine noted that the latest trend in the alternative energy sector of Ukraine is increase of solar panels installed by the households. In the last quarter of 2015 the amount of installed solar panels increased by 84%.